Hong Kong has long been known as the place to get inexpensive watches. The watchmakers there can make watches worthy of any price point. 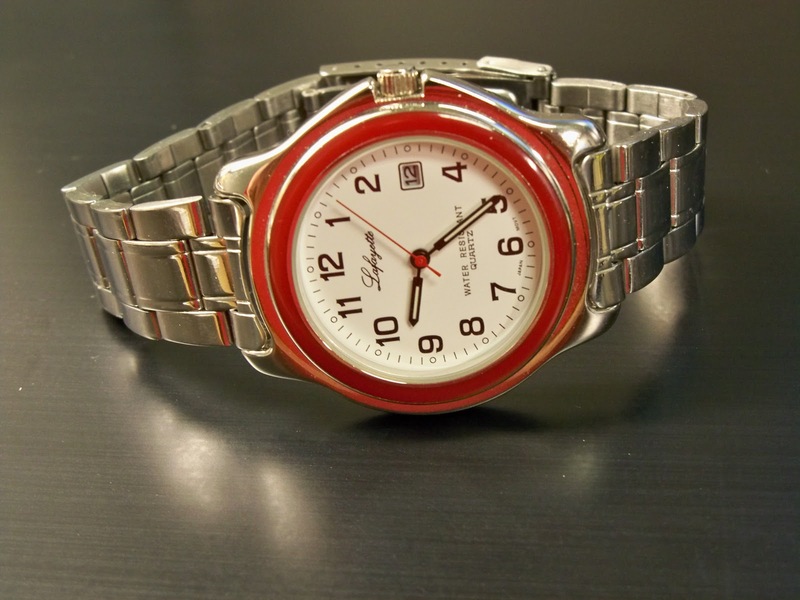 One well-known Hong Kong watchmaker is the Lafayette Watch Company. I have one of their watches. It has a plain white face with simple black numerals and simple cursive script proclaiming the company name in classic style. The quartz timepiece is powered by a Japanese movement. It has a stainless steel back and at least some degree of water resistance. In many ways, this watch reminds me of my Pulsar. The only aspect of this watch that I'm not enamored with is the red bezel.